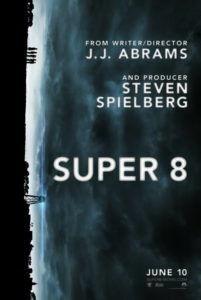 Reaching all those lofty aspirations imposed by its Amblin Entertainment logo, the nostalgic and imaginative Super 8 was affectionately crafted as a love letter to the early work of Steven Spielberg. Writer-director J.J. Abrams embraces Spielberg’s thematic and visual influence, felt through every scene, to accomplish that signature blockbuster quality behind Jaws, Close Encounters of the Third Kind, and E.T. : The Extra-Terrestrial. As small town youngsters in 1979 assemble scenes for their home movie homage to George A. Romero, shot on the family’s 8-mm camera, they witness and document a train crash whose cargo proves to be a classified military secret. 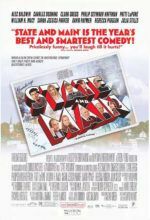 Not unlike Blow Out, their recording provides clues to a vast conspiracy, but also acknowledges the theme of filmmaking both on and off-screen. Imbued with that effervescent movie magic quality so often linked to Spielberg, who serves as executive producer here, Abrams delivers an exciting and heartwarming adventure. Although the young film crew’s wannabe auteur director, Charles (Riley Griffiths), dominates their little production, the story follows their makeup artist, Joe (Joel Courtney). Along with their pyrotechnic-maniac friend, Cary (Ryan Lee), the crew, comprised of 12-year-old boys, somehow convinces 14-year-old blonde beauty Alice (Elle Fanning) to star in a supporting role. Charles explains that Alice’s wife character will help bring drama into their homemade movie about a detective fighting zombies. As Joe applies Alice’s makeup, he looks dreamily into her eyes, lost in his growing adoration. All at once, a train approaches from the distance. Charles shouts, “Production value!” and they begin to roll film. It’s a miracle moment for the young filmmakers, until their scene is interrupted when a frantic pickup truck turns onto the tracks and derails the military train, apparently on purpose. Mirroring his subject, Abrams assembles pieces here and there from other films, but combines his sources of inspiration with renewed energy, relying both on nostalgia and his own innovations. Long fascinated with mysteries, his artistic philosophy seems based on Spielberg prolonging the shark’s appearance in Jaws until the final act. From the entire concept of Lost to the elusive-yet-captivating tactics behind Cloverfield’s marketing campaign, Abrams has long maintained hush-hush productions to limit his audience’s information, because he knows that with secrecy comes the audience’s interest and involvement. With Super 8, he creates a sense of mystery when, after barely surviving the crash, Joe witnesses something escape from one of the railcars. The kids’ science teacher (Glynn Turman), the sole survivor and driver of the derailing truck, warns, “Do not speak of this, or else you and your parents will die.” What did the science teacher know? And what was the thing that emerged from the railcar? The drive toward uncovering that mystery is a gripping and emotional one. Military forces headed by cold leader Nelec (Noah Emmerich) descend on Lillian, Ohio for a quick cleanup, while strange, paranormal occurrences flood the quiet town. Joe has recently lost his mother in a steel mill accident, and his deputy sheriff father (Kyle Chandler) doesn’t have time for him, especially in the wake of a town-wide crisis. And so, the familiar Spielbergian theme of disjointed families comes into play, with children searching for what’s really going on, while adults remain clueless. Joe clutches to his mother’s necklace, his last remaining token of her, and places his love in another older female, Alice. There’s a palpable connection between Joe and Alice from the start, both acknowledged onscreen and felt by the audience; these two young actors have incredible chemistry. And even while Abrams openly admits within the movie-within-a-movie talk how manipulative screenwriters introduce a love interest to raise the dramatic stakes, when Alice is taken by the thing, it’s all the more suspenseful to see these young filmmakers act out the clichés they were so willing to employ. Abrams wanted his child characters full of innocence, to represent them just before they slipped into that tainted world of puberty. During casting, his discovery of the inexperienced Joel Courtney was significant, as there’s something in the young actor’s eyes which communicates innocence, vulnerability, and wonder all at the same time. Much like Henry Thomas in E.T., Courtney personifies what it means to be a young person in this age, and captures so many universal emotions along the way. But he’s also not too young to let a girl like Alice go unnoticed. Fanning, whose older sister Dakota starred in Spielberg’s War of the Worlds, has a heart-wrenching scene where she confesses to Joe that her father (Ron Eldard) may have played a part in his mother’s death. From the sidelines, Griffiths, Lee, as well as the film crew’s other players Zach Mills and Gabriel Basso, provide much comic relief. Abrams dives into his period with plenty of humorous “remember when” moments, such as making the newfangled Walkman or lingo like “mint” comic jabs. The Knacks’ “My Sharona” also has a significant place on the soundtrack, while Abrams’ composer Michael Giacchino channels John Williams at his most magical. Although the film doesn’t look like it was shot in 1979, the production’s mise-en-scène captures the era with pitch-perfect inflection. Filling his frame with his usual lens flare-dominated visual style, Abrams adds flourishes—such as split-diopter lenses and low-angle perspectives—which resound with the spirit of Spielberg classics. Visually and aurally, we’re transported into the film’s period, only occasionally removed by the modern (and exceptional) CGI work used to render certain effects. 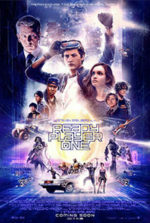 Spielbergian tropes emerge throughout, creating a further sense of nostalgia for the moviegoing audience—in particular for those who grew up with Spielberg’s seemingly endless roster of blockbusters from the ‘70s and ‘80s, and treat them like a warm blanket. The result may not be as instantly iconic as Spielberg’s referenced works, but it’s lovingly familiar. Most apparent are the comparisons to Jaws, with Chandler’s sheriff out of his element hunting a monster he doesn’t understand, and Close Encounters of the Third Kind, with a military force covering up an alien contact. But then, these events are seen through the eyes of children, as in E.T. : The Extra-Terrestrial. By the finale, when we’ve observed the creature in more detail, its horrible and unexpected mysteries revealed, we realize Abrams has combined the classical Spielberg sentimentalism with the director’s more recent capacity for violence, as seen in War of the Worlds. Further akin to Jaws, Abrams allows characters to drive his story, leaving the monster event details as an aside in comparison. Never is the audience more concerned about the thing than we are about Joe and Alice’s idyllic, budding youth romance, or Charles and Joe quietly competing for Alice’s attention, or Joe repairing his relationship with his father, or Joe finally coming to terms with his mother’s death. Fortunately, Abrams cast largely no-name actors, with only a handful of familiar-face exceptions, allowing us to fully submit to his throwback intentions and lose ourselves in the era. Had Abrams cast a Spielbergian leading man, like Harrison Ford or Tom Cruise in the role of Joe’s father, the result wouldn’t have played out with the same immersive effect. Beyond pure Spielberg nostalgia, Super 8 echoes Abrams’ own childhood and shooting his first home movies on an 8-mm camera with his friends, who would eventually grow up to become Matt Reeves (director of Let Me In) and cinematographer Larry Fong. Not unlike the young amateurs in his film, Abrams and his friends aspired to be great filmmakers one day. Now look at them. 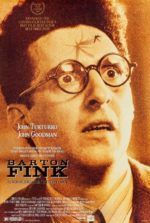 After several successful bouts producing television shows and two strong-to-triumphant feature film directorial efforts (Mission: Impossible III and the Star Trek reboot), Abrams delivers his first personal picture as the sole writer-director, and through this intensely thrilling and affecting adventure, establishes himself as the Spielberg of the modern era. That is, if Spielberg weren’t already the Spielberg of the modern era.